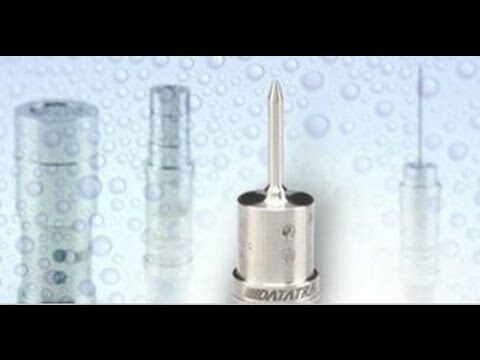 The DataTrace® products are self-contained, high precision stainless steel data loggers used in critical manufacturing and quality control applications. They measure temperature, humidity and pressure inside a process or inside a product during manufacturing. Two product lines are available: Micropack III (MPIII) Data Loggers are programmed by the user to collect environmental data with the help of a PC interface and the DataTrace Pro (DT Pro) software package. They are then placed with the specific product or process, and upon completion are retrieved and the recorded data downloaded to a PC. Micropack Radio Frequency (MPRF) Data Loggers can be used in exactly the same way, but can additionally stream logged data via radio frequency transmission in real time - even where the data loggers are in a closed chamber such as a steam autoclave. While there are a variety of different types of data loggers available on the market, there are only a few products like DataTrace® that are rated as “intrinsically safe” and can operate at elevated temperatures. A stand-out aspect of the DataTrace product line is the calibration service provided. Each DataTrace® data logger is calibrated by an accredited calibration laboratory prior to shipment. These and other important factors make DataTrace® Loggers the product of choice for many companies to control their most critical processes. DataTrace is a line of high quality, high accurate data loggers for temperature, pressure and humidity monitoring for food and pharma applications. Watch the Video to learn more about DataTrace.